Bed bugs are feeders of humans, domestic animals and bats/birds. Bed bugs feed on blood only. Bed bugs are about 1/5-1/8 of an inch long. They are oval shaped and look about the same as a dog tick. 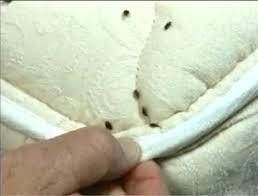 After feeding, bed bugs become enlarged and turn a reddish color. Bed bugs have sucking mouthparts which enable them to in take blood through skin.